Do you Really Need a Self-hosted Blog to be Successful? You probably already know that blogging has a lot of marketing potential. Today I’m going to help you decide whether you need self-hosted WordPress blog or a free one to get started. …and blogs can help you generate multiple streams of income. Over the last few years I’ve worked with a lot of clients who also had to decide between a free blog vs self-hosted blog. And I have some SURPRISING results to share with you. A self-hosted WordPress blog is one where you pay a web hosting company like SiteGround to store your blog on their servers. They are essentially renting out web server space to website publishers.Then your WordPress blog can be accessed by users over the Internet. You install the WordPress.org software on your web server. Don’t worry, it’s a one-click install. One of the many advantages of using a web hosting company over a free blog is that you have more control and freedom over your blog content and how you monetize it. For this reason, many people opt for starting their blog using a hosting company vs a free hosted blog. With a free blog, you will have to abide by a few policies that prevent you from having full control over your content and how you monetize your blog content. Is Launching a Self-Hosted Blog Right for You? I love blogging and it’s earned me a nice income over the years! I enjoy helping others through blog coaching so they can be successful too! Believe me, I have tons of amazing, proven information to help anyone succeed with blogging. It’s not a good fit for everyone. I mentioned that I had some surprising results to share. The majority of people that I have worked with quit blogging after a few months. The majority of people that I did not work with but whom I know, quit blogging after a few months. All of these people were excited and enthusiastic about starting a selfhosted WordPress blog. They had a great plan in place for content topics and marketing online. I wrote 10 posts and not getting enough traffic. I can’t spend all this time writing content. I don’t have time for blogging. I’ve been blogging for 2 months and didn’t make any money. Blogging takes too much time. Any of these sound familiar? The list goes on and on. The point is that all of these eager new bloggers were genuinely enthusiastic when they started and well intended. But after finding out that it takes times and hard work, they were not able to sustain their enthusiasm and drive to keep going. Pay for WordPress hosting and domain. Install WordPress on their webhosting server. Buy a WordPress theme, install and set it up. Invest time in keyword research to discover what people are interested in. Find affiliate programs to join. Research and write blog content. That’s a lot of work only to find out that blogging is not really a good fit for you! Plus spending money unnecessarily on webhosting and a premium WordPress theme. 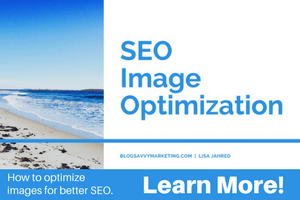 The truth is that building a sustainable blog takes time, from researching keywords and writing content, to sharing in social media and building a subscriber list. Instead of getting started with a selfhosted blog, why not go with the free version? You’ll save yourself some money both on hosting and blog theme. Dip your toes into the blogging world and see if it’s a good fit for you. Most bloggers will tell you that self hosted is the ONLY way to go. Sure, I agree with that if you are fully invested in your blogging strategy. But if you are just starting, make sure it’s for YOU first! A popular free blog is at WordPress.com. Can I see the long term potential for generating multiple streams of income? Am I focused on a niche market? Am I willing to do what it takes to get traffic to my blog? Do I have time to research and create content on a regular basis? Is blogging a burden for me? Am I willing to invest time in learning the best blogging strategies? Do I have time to learn at least one social media platform like Pinterest? If after 3 months you answer most of these blogging questions in a negative way, then I would say that blogging is not a good fit for you. That’s OK. There are tons of other ways to generate additional income. When you are ready to start your free blog hosted website, here are the two best ways to get started. Be sure to start your free blog on a platform that has the capability to export your content later if you decide to upgrade to a self hosted WordPress site. WordPress.com: The free version of WordPress is a great choice if you just starting a blog. There is no charge for the basics and you can use up to 3GB of space. They have pay plans but I advise against it. If you want to upgrade, go with a webhost so you have more flexibility and control. The free version of WordPress also takes care of backups and updates. Blogger.com: Google’s free blogging tool is easy to use and it won’t cost you a penny. You get hosting and analytics and you can show ads if you want to make a profit. You can see that there’s a lot of work involved in blogging. If you still decide after a few months that you are in it to win it, then it’s time to upgrade and start your hosted WordPress blog. Where should I host my blog? The best WordPress recommended hosting is SiteGround. 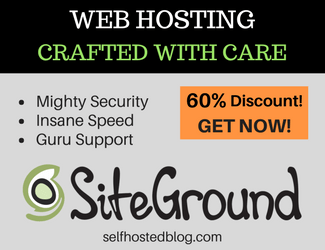 I’ve been with several webhosting companies over the years and am now with SiteGround. I am super happy with my choice and did a ton of research first. SiteGround can transfer your blog content for you too! I used their transfer service and they did a great job. When you are ready, here’s some information about how to find the best SiteGround hosting plan for YOUR needs. While self hosted blog platforms give you more freedom and control than free hosted blogs, it’s a big investment if you are not quite sure about blogging. Starting out with a free website is a good idea to see if you enjoy blogging as well as the time investment in creating content and learning the strategies that work. When you are ready to switch to a webhost, I am ready to help you with a 30-minute discovery session at no charge when you use my 60% off SiteGround link!